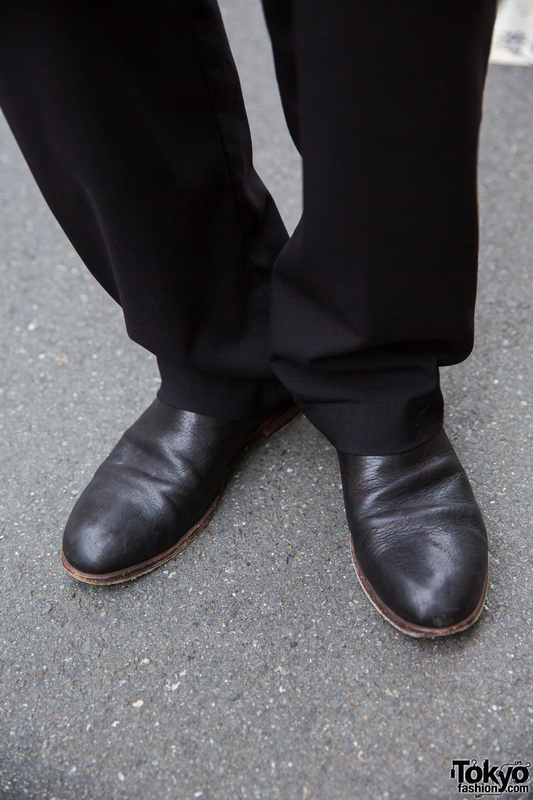 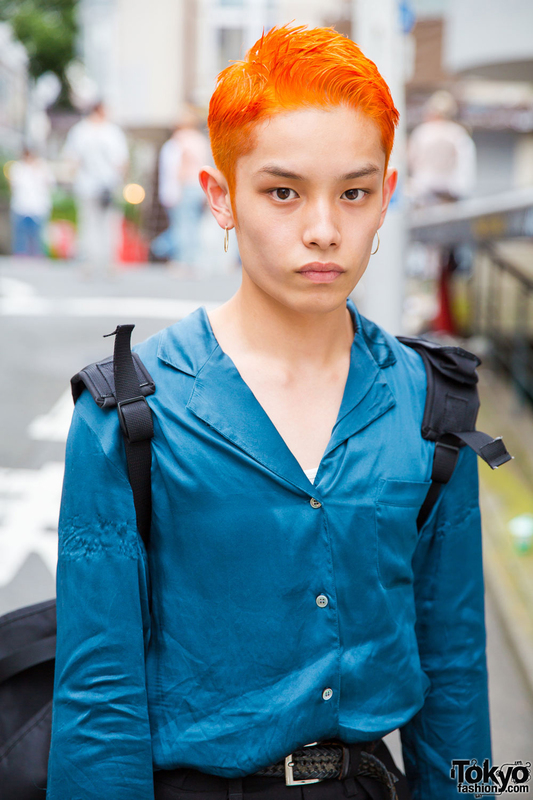 We met Takuma, an 18-year-old student walking along the street in Harajuku. 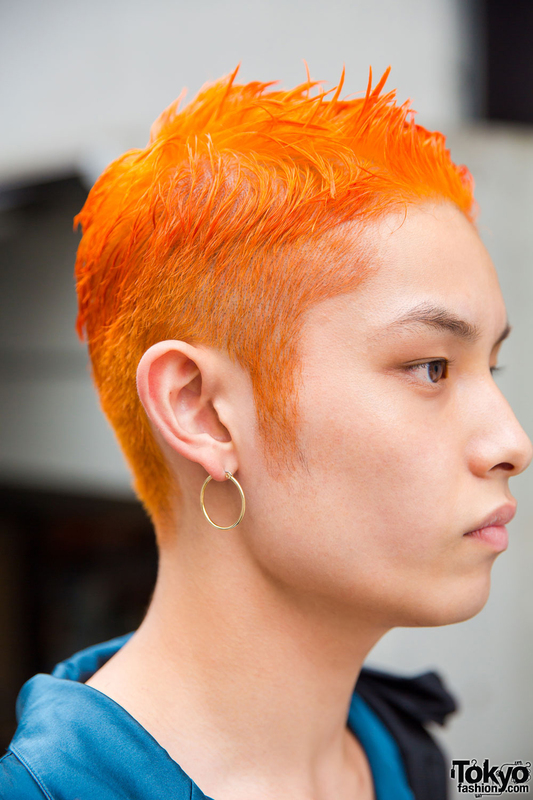 He caught our eye with his orange hair and teal top – a striking color combination. 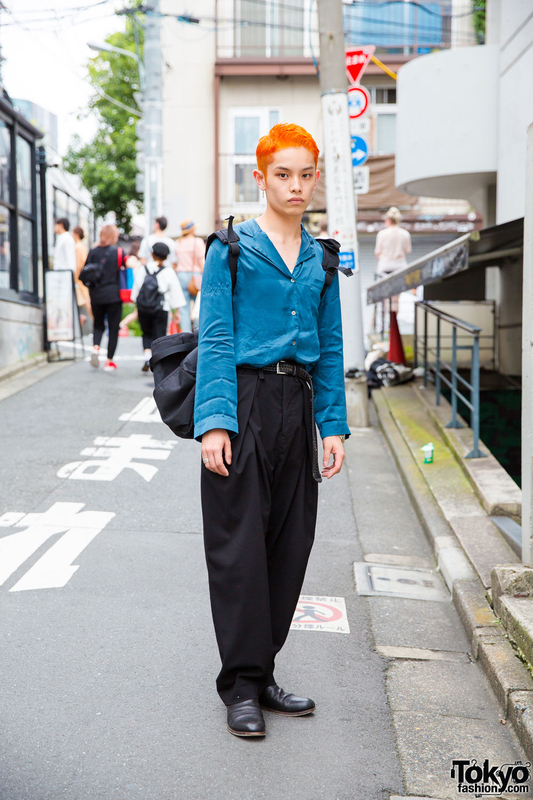 Takuma wore a resale teal button down silk shirt, black Iroquois pleated pants, and leather shoes from the Japanese footwear brand nil admirari. 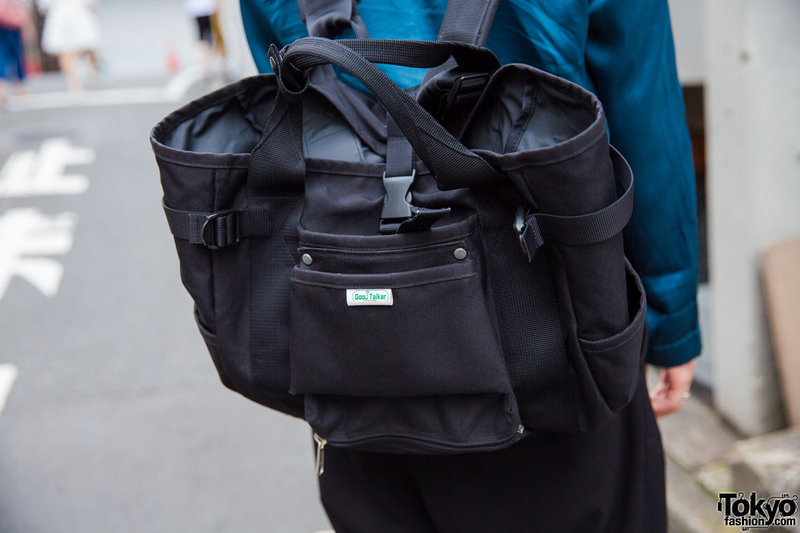 He completed his look with accessories that include a Rolex watch, a silver ring and bracelet from Silver501, a pair of hoop earrings, and a black Good Talker bucket backpack. 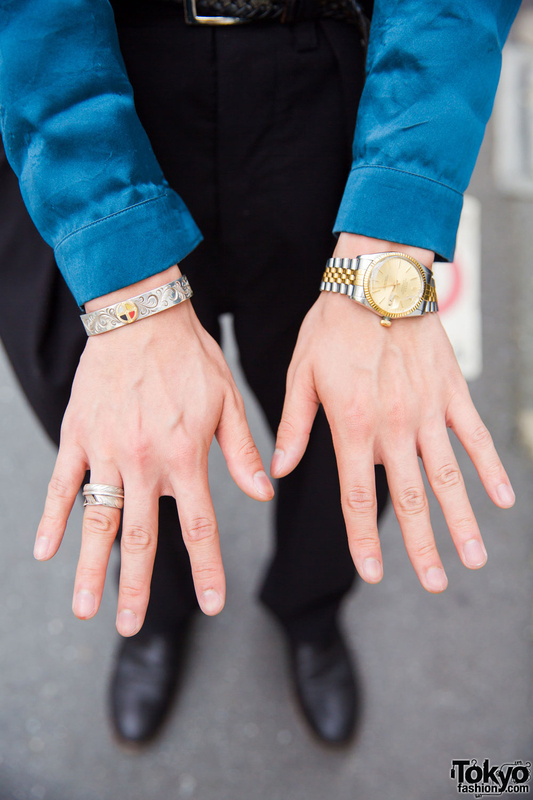 Takuma is active on Instagram.